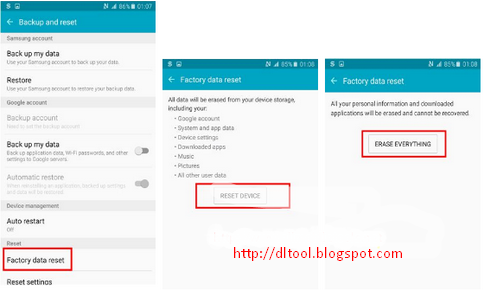 How To Perform Factory Reset On Any Android Smart Phones & Tablets? Tap APPS and Click on the "Setting" icon. 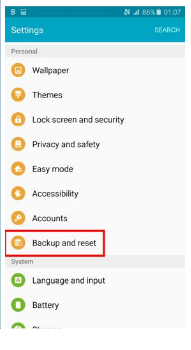 In "Setting" Tap "Backup and Reset". Then Tap "Factory Data Reset". 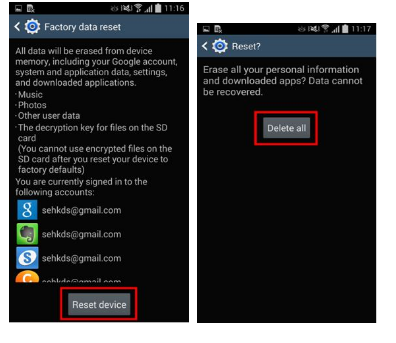 Tap "Setting" Then click "General" & "Backup and Reset" and then "Factory Data Reset". "Tap Reset Device" and then click "Delete All".